On my recent whirlwind trip to Sri Lanka, I only really had time to explore one part of the country. I know I definitely need to go back to see more, but for now I just got a taste test. While I was in Sigiriya, I was staying in the lush jungle at the Mahagedara Retreat. 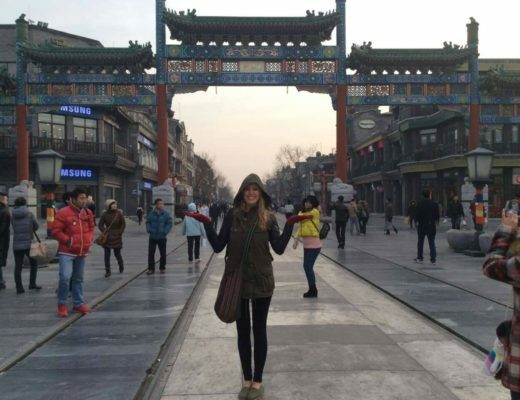 Although I was busy detoxing and getting some much needed rest and relaxation, I can’t visit a place without seeing everything it has to offer so that’s why I was super pumped about all the fun things there was to do in the area. I’m sure there is even more to do, but these were what we were told were the must-do’s and I would highly recommend them to anyone visiting the area. 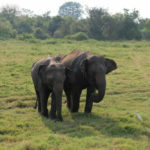 Located just under an hour from Sigiriya, Kaudulla National Park is famously known for the number of elephants that you’ll see during your visit, mainly in the drought period. The park is relatively flat and open which makes it easy for you to spot elephant herds. 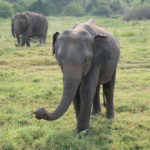 Researchers have counted 211 elephants in the park in 2008 but you can also find other animals as the part is home to over 24 mammals, 25 reptiles, and 160 species of birds. However, you never know what you’ll run into. We saw a ton of elephants, birds and monkeys on our trip. 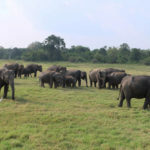 Sri Lanka is reported to actually have the highest number of wild elephants in Asia with around 6,000 across the country and it was so cool to not just see one or two elephants but so many together in one place living peacefully in the wild. The only way to visit the park is on a jeep safari and tours can be booked through a variety of companies. Our jeep costs approximately 4,000 rupees (just under $30 USD) total and then the entrance to the park cost approximately 1,500 rupees or $10 USD each. Note that the prices of jeeps may differ as ours was negotiated by a local who ran the retreat I was staying at. 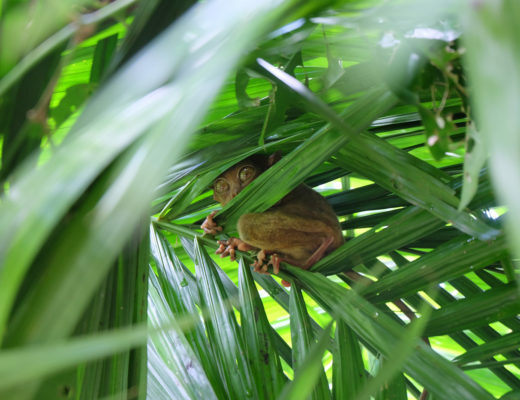 Note: Other nearby parks are Minneriya National Park and Hurulu Eco Park. 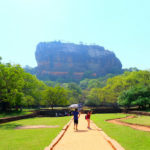 Sigiriya Rock or Lions Rock is referred to by locals as the Eighth Wonder of the World. The rock was formed from magma of an extinct volcano and sits 200 meters above the surrounding jungles. 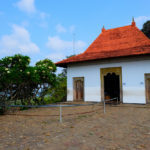 The rock was a monastery in 3rd century BC and in the second half of the 5th century, King Kasyapa decided it would be the spot to build his royal residence. Today you can only see remains of the grand residence that was inconveniently located on top of a rock, but as you climb the over 1,200 steps (built for us tourists) to get to the top you can’t even fathom how they built something there so many years ago. 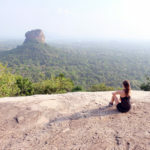 The entrance price to Sigiriya is a hefty $30 USD but is totally worth it. At the bottom you’ll find a little cafe and a museum and then you’ll head to start your climb up the many stairs. 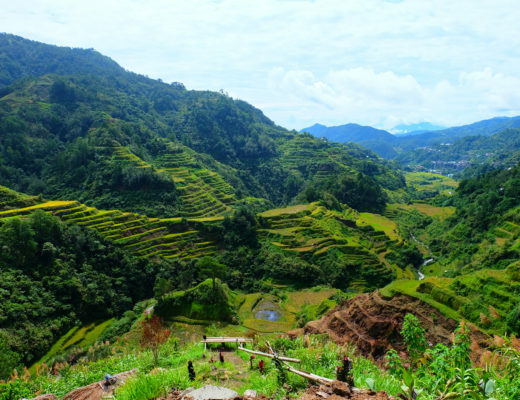 I’d be lying if I said this is an easy climb, especially in 36 degree celsius weather but if you are in relatively good shape you will make it! Bring lots of water and take breaks on route. There were kids doing it and even elderly people so it isn’t impossible.The rock opens at 7am and if you can, it’s ideal if you head up bright and early or late afternoon (it closes at 6pm) to beat the heat and the crowds. 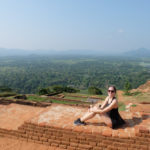 Once you reach the top you’ll be completely blown away by the views of Sigiriya and the surrounding area. 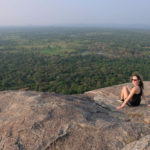 You may be too blown away by the Sigiriya Rock when looking at the horizon to notice a much smaller rock that almost looks like a hill in comparison that stands not too far away (only a six minute drive from Sigiriya Rock). Pidurangala Rock is often overlooked by tourists but that’s part of what makes it so magical. In fact, I almost enjoyed this rock more than Sigiriya. 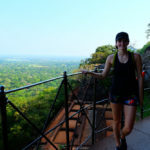 Part of that was because I find one of the most breathtaking things about Sigiriya Rock is the actual rock itself and the view from Pidurangala is one that can’t be beat. 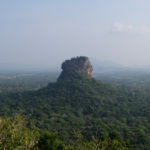 Pidurangala is actually where King Kassapa relocated all the monks who were living on Sigiriya when he took over. 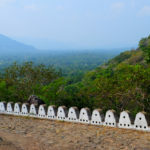 To reach the top of Pidurangala you’ll go on a bit more intense of a trek. 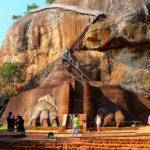 Although there are less steps than Sigiriya Rock, it isn’t built for tourists like it is. 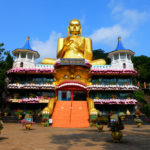 You’ll enter through a temple which you’ll have to be completely covered for (knees and shoulders), foreigners will pay an entrance fee of 500 rupees (about $3.50 USD) to enter. You’ll walk through the temple and eventually hit a trail which you’ll follow to the top. You are able to take off your coverings here if it’s too hot. On route you’ll come across a sleeping Buddha placed in the side of the rock which is pretty cool and then you’ll hit a part of the path that looks nothing like a path. It’s literally a stack of rocks with arrows pointing in the direction to go. Expect to fully rock climb at the end of the trail to finally get to the top. It’s difficult but if you go slowly and with teamwork, you’ll have no problem. Plus the view when you reach the top is incredible and so peaceful given that you’ll likely only be joined by a couple people, if any. 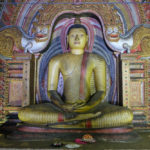 Dambulla Temple, also known as the Golden Temple is a World Heritage Site and is the largest and best-preserved cave temple complex in Sri Lanka located around 30 minutes from Sigiriya. 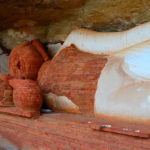 The rock that the temple sits in/on is 160 m over the surrounding area and the major parts of it is divided in five caves which include several statues (153) of Buddha, gods and goddesses, and paintings. 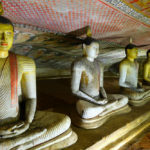 The temple dates backs to first century BCE and the Dambulla Cave Monastery is still functional today. To get to the temple you’re going to have to climb stairs, again. Everything in this area worth seeing seems to be on top of a rock! At the bottom you’ll see a newer temple that is very modern, extravagant and gold (photo below). You can choose to go inside but we just skipped this to get to the historical temple. However, one thing to note is that you’re going to need to present a ticket at the top of the rock and you can’t buy tickets up top. We seemed to somehow miss where to buy tickets and ended up having to climb down a whole other way and back up again with our ticket (we definitely got our workout that day). So ensure you have your ticket before you climb. Tickets cost 1,500 rupees ($9.80 USD). The temple itself is super cool and unique. I’ve seen a lot of temples in my lifetime but nothing like this before! Overall I fell in love with this area of Sri Lanka. There were so many amazing things to see in such close proximity to one another and even though I only had about four to five days in the area, I still had time to do all the above activities and also kick back and relax at the retreat. Mainly all of the above only took a couple hours max to do, so you can even fit more than one excursion into your day! this is dipti from Goa, India. i happen to come across this page today…just the info i needed…curious thou about the Pidurangala Rock… did you have any help from someone to make this climb? was wondering as i am travelling alone. Hey Dipti! A local that was from our retreat/hotel came with us, however, I’m sure you can manage on your own. Other people will be doing the hike at the same time and people can point you in the right direction. Once you’re on the actual trail itself it’s pretty straight forward. Be prepared for a climb up rocks at the end though to reach the top!